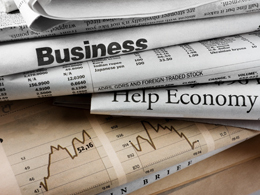 Last week’s economic reports showed a range of data, mainly focused on the consumer. Consumer news was largely good, but business and industry continued to disappoint, although by less than expected. Overall, based on last week’s data, the economy seems to keep creeping slowly forward, showing little sign of either the acceleration or slowdown that many have been predicting. New home sales, released Monday, dropped back to 609,000 after a July surge to 654,000, but beat expectations of 600,000. Also positive were the longer-term trends, with both the 6- and 12-month averages hitting their highest levels since 2008. On a year-to-year basis, sales are up more than 20 percent. Given the positive trends, the August decline appears to be due primarily to inventory constraints, as the number of new homes for sale dropped by the largest monthly amount in more than six years. On Tuesday, the Conference Board’s Consumer Confidence Index posted its second surprisingly large gain in as many months, increasing from 101.1 to 104.1, a nine-year high—substantially beating expectations for a decline to 99. The usual factors that support confidence are doing well, with jobs continuing to grow and gas prices edging up but still low. Confidence rose particularly sharply among lower-income respondents. The news on the industrial sector, from the durable goods orders report, was less positive. Headline orders, which include transportation, swung from a downwardly revised gain of 3.8 percent to flat, on a decline in aircraft orders. This beat expectations but still wasn’t great. Core orders also moved downward, albeit by less than expected, from a gain of 1.5 percent to a decline of 0.4 percent, on last month’s lower manufacturing output. On a more positive note, core business orders, excluding aircraft and defense, picked up by 0.6 percent, the third gain in a row. This is a green shoot for business investment, one of the key concerns for the economy overall. The personal income and spending report on Friday offered insight into what consumers are actually doing. Personal income growth slowed from 0.4 percent to 0.2 percent, as expected, while personal spending growth also slowed by somewhat more than expected, from 0.3 percent to 0.1 percent. Consumers continue to earn more but remain cautious about spending. Although this restrains growth in the short term, it is positive in that this level of growth remains very sustainable. These figures point to continued slow growth in the consumer sector of the economy. This week’s data releases are all about business. The ISM Manufacturing survey, released this morning, showed a move back to positive territory, up to 51.5 from 49.4, substantially beating expectations and suggesting last month’s drop may have been a blip. On Wednesday, the ISM Non-Manufacturing survey is also expected to bounce back, from 51.4 to 53, on continued improvement in the underlying data. The international trade balance will be released on Wednesday as well, with the deficit expected to drop back to $41.5 billion from the previous month’s strong $39.5 billion. Trade will likely continue to be a drag on growth in the fourth quarter. Finally, Friday’s employment report is expected to improve modestly, with job creation rising from 151,000 the previous month to 175,000, wage growth increasing from 0.1 percent to 0.2 percent, and the average workweek moving back to 34.4 hours, reversing much of the weakness of August. With low jobless claims and record high job openings, the labor market should bounce back, and there may be some upside opportunities here.